For his 24th birthday on Nov. 28, 2016, Miami Dolphins wide receiver Jarvis Landry received a cake very much in his likeness. 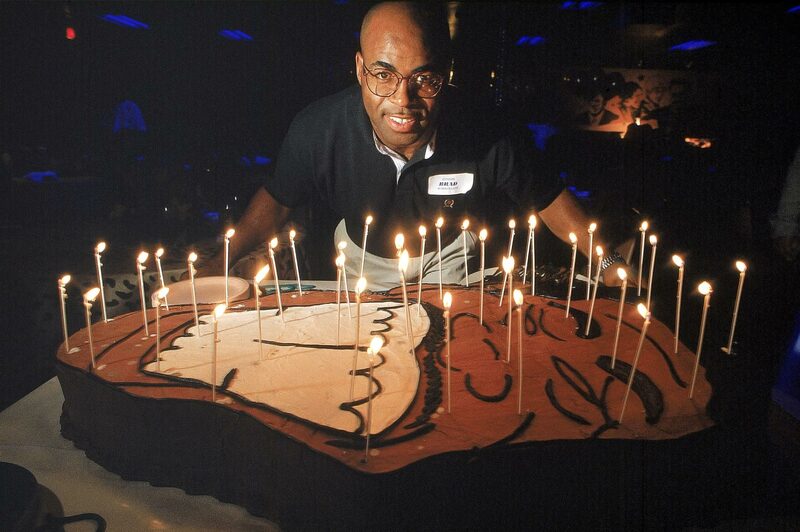 Here are some great cakes in sports history. Miami Dolphins wide receiver Jarvis Landry received this cake for his 24th birthday on Nov. 28, 2016. 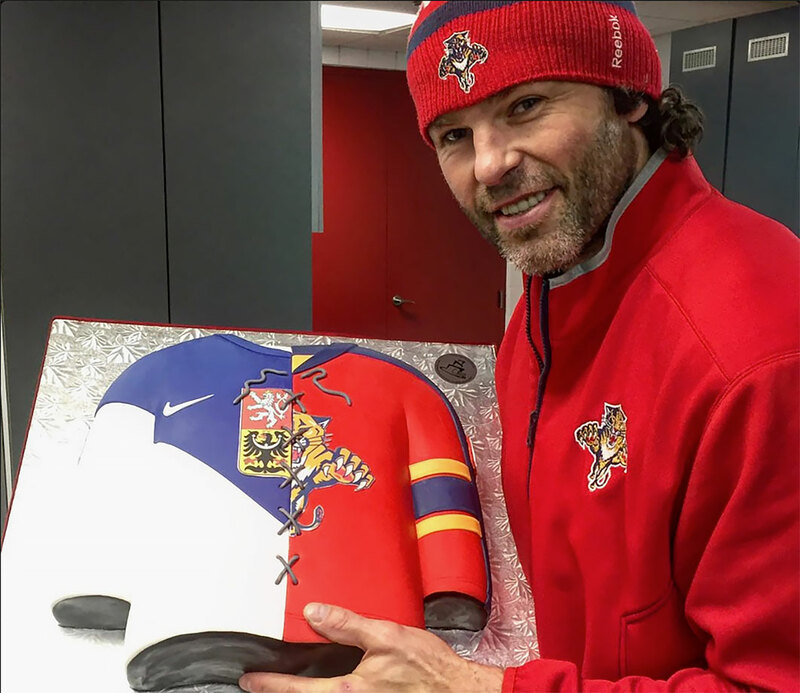 NHL legend Jaromir Jagr turned 44 on Feb. 15, 2016, and the Florida Panthers gave him a cool cake that combined his Panthers jersey with his Czech national team sweater. 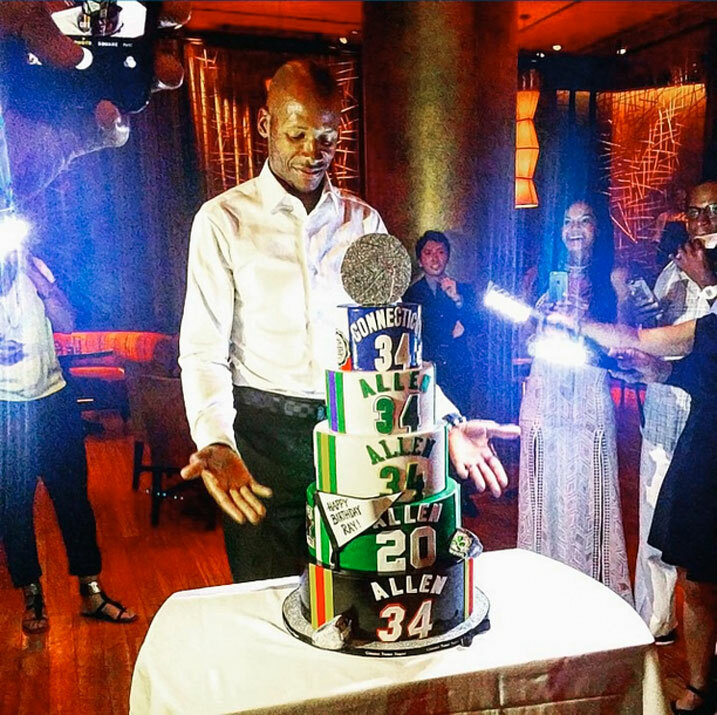 Ray Allen celebrated his 40th birthday with a very impressive cake that celebrated both his illustrious NBA career, which included time spent with the Bucks, Sonics, Celtics and Heat, as well as his time as a college basketball star at UConn. 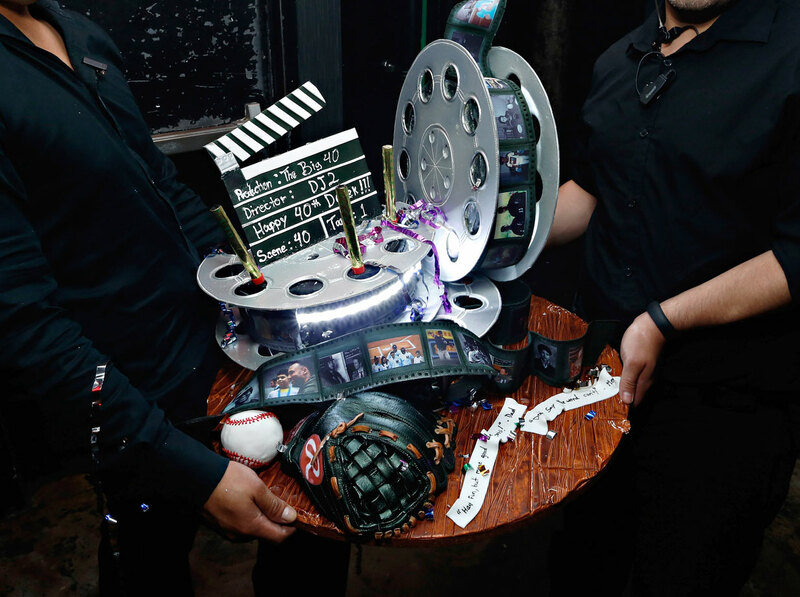 Derek Jeter's 40th birthday cake was truly a highlight reel in itself. 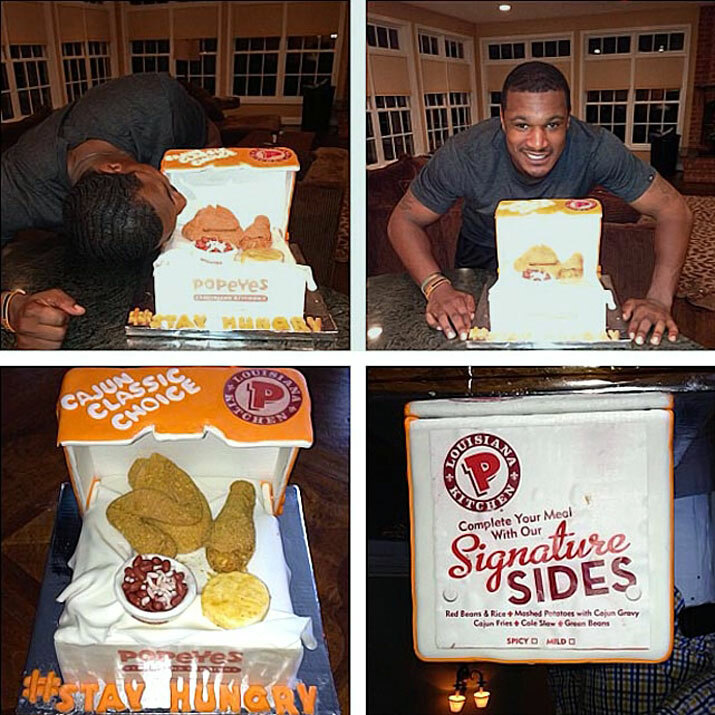 Adam Jones got a Popeye's chicken-themed cake for his 28th birthday. Now this is a birthday cake. 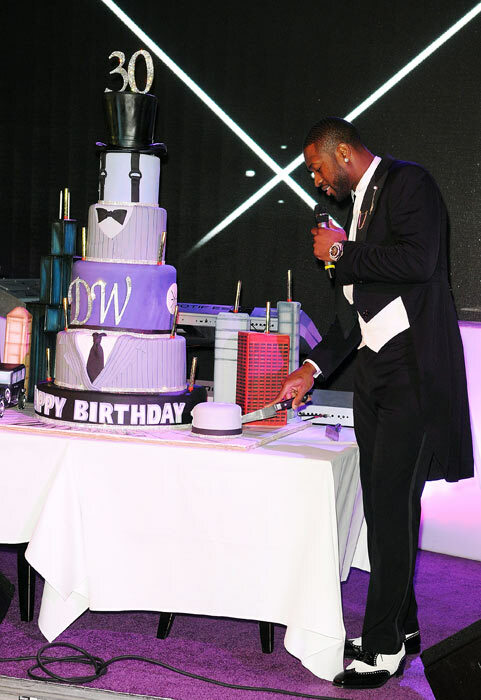 Heat star Dwyane Wade celebrated his 30th birthday in Miami with an intimate group of hundreds of his famous friends. Not shown are his lovely gifts, which included a $230,000 custom McLaren car, a diamond-encrusted Hublot watch and a bottle of Dom Perignon. Basically it was a low-key bash. 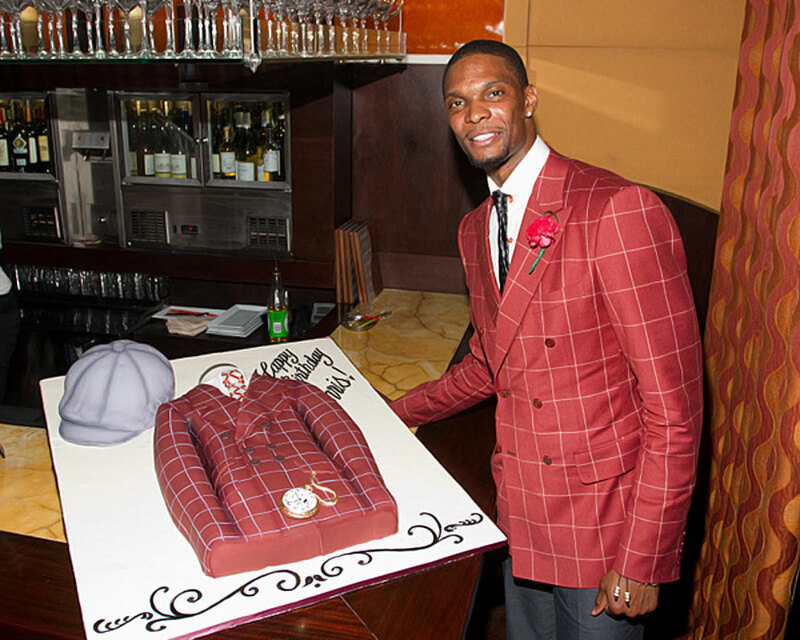 Chris Bosh celebrated his 28th birthday with a cake that matched his outfit. Cristiano Ronaldo cuts a cake to celebrate the first year anniversary of the global launch of the his CR7 Underwear brand in Madrid, Spain. 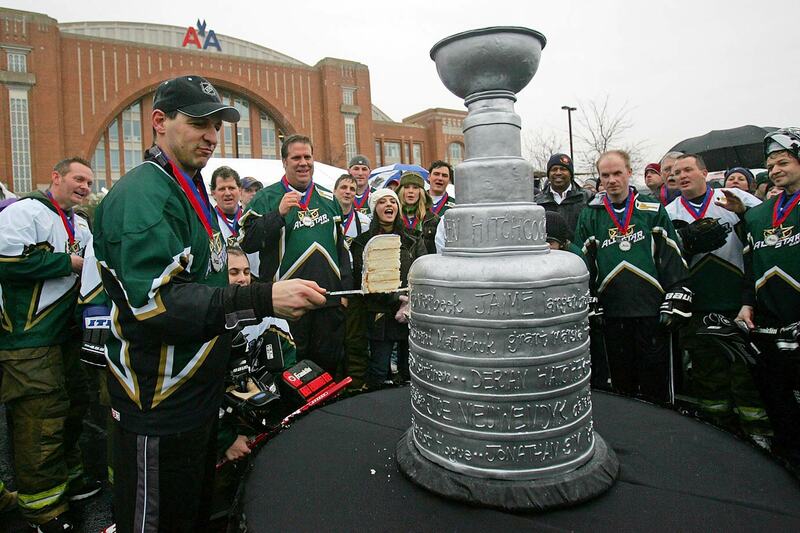 Former NHL player Benoit Hogue cuts into a Stanley Cup cake during All-Star weekend in 2007. 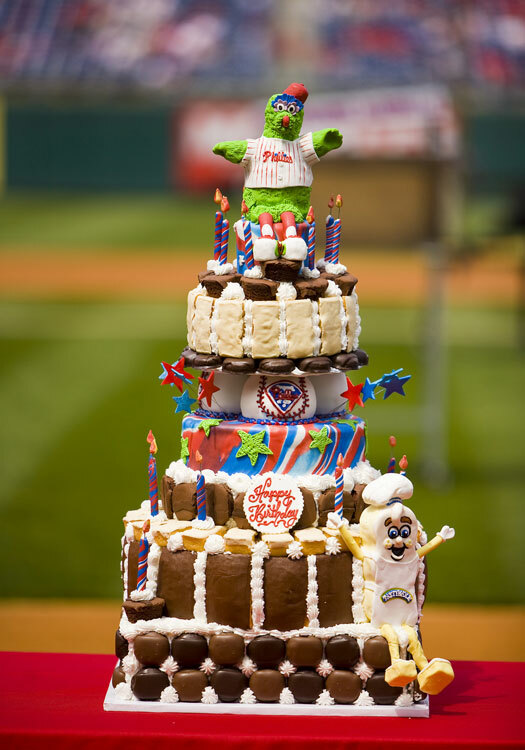 The Phillie Phanatic celebrated his birthday with mascot friends and cake before a game between the Philadelphia Phillies and the Washington Nationals on April 17, 2016 at Citizens Bank Park in Philadelphia. 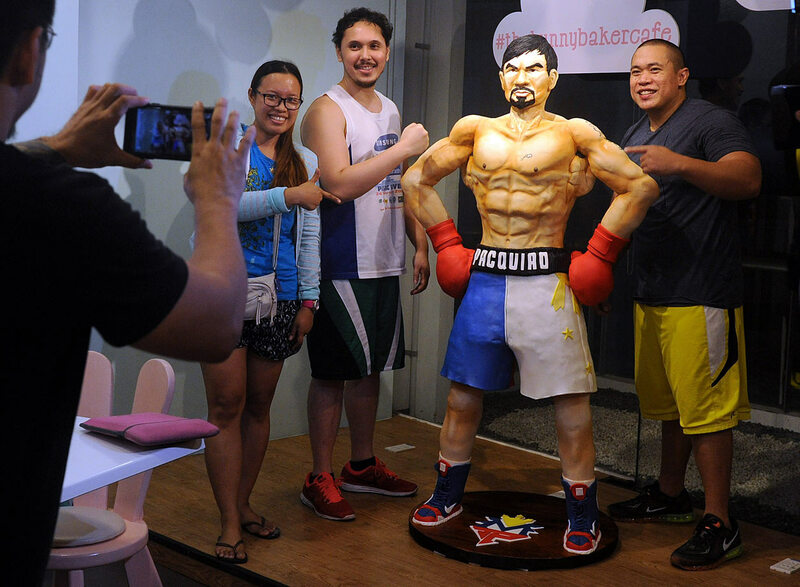 Customers take a picture with a life size 70 kilogram cake of Manny Pacquiao worth $4,000 at a cafe in Manila on May 2, 2015. The cake was made to commemorate the upcoming fight between Mayweather-Pacquiao fight. If Pacquiao had won, the cake would have be served free to customers. 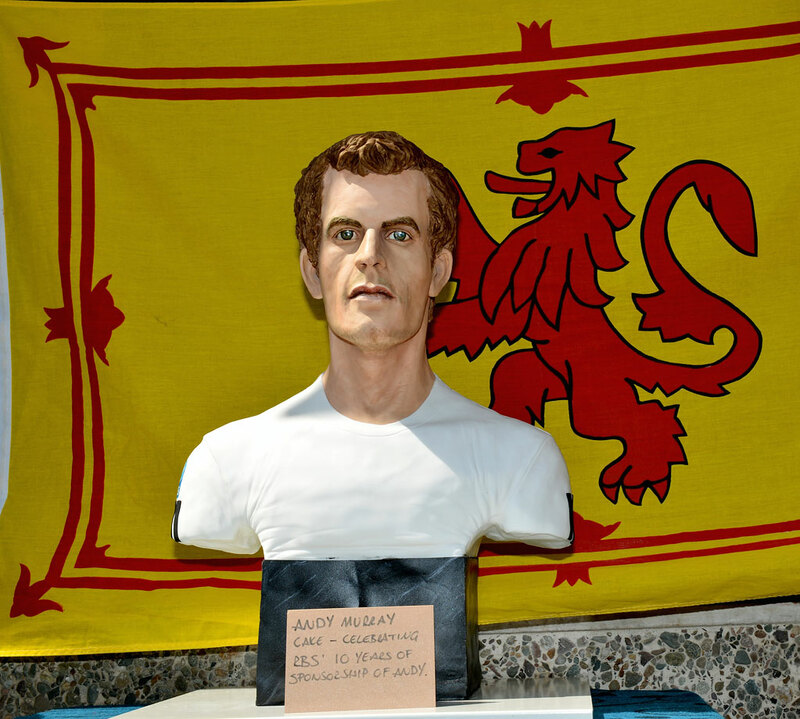 A cake bust of Wimbledon champion Andy Murray was displayed on July 8, 2013 in Dunblane, Scotland. 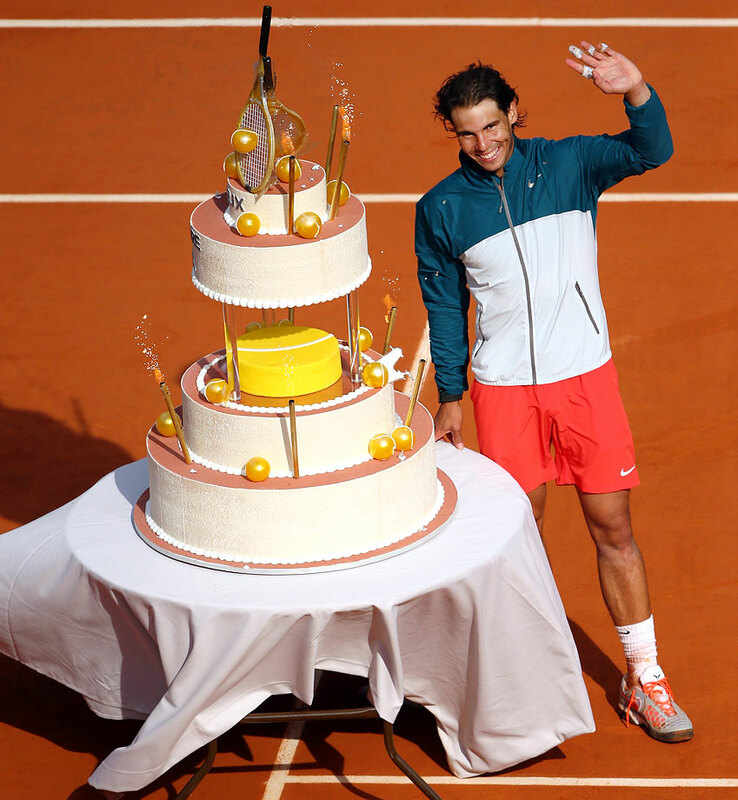 Rafael Nadal celebrated his 27th birthday with this mammoth cake presented to him at the 2013 French Open. Novak Djokovic cuts a cake for his 29th birthday on May 22, 2016, at the start of the French Open at Stade Roland Garros in Paris. Fans marvel over a chocolate replica of FC Barcelona's Stadium, Camp Nou Stadium, at Bosch Pastry Shop in Pineda de Mar, near Barcelona. 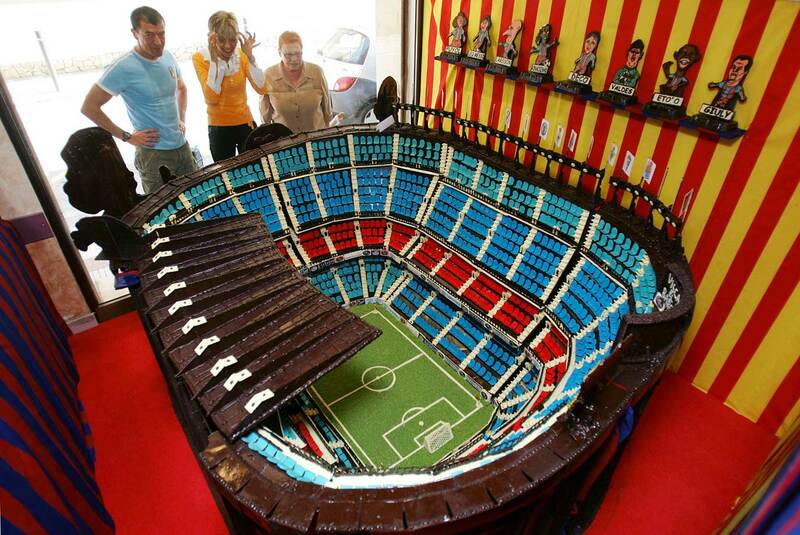 The edible stadium was made of nearly 700 kilograms of chocolate. 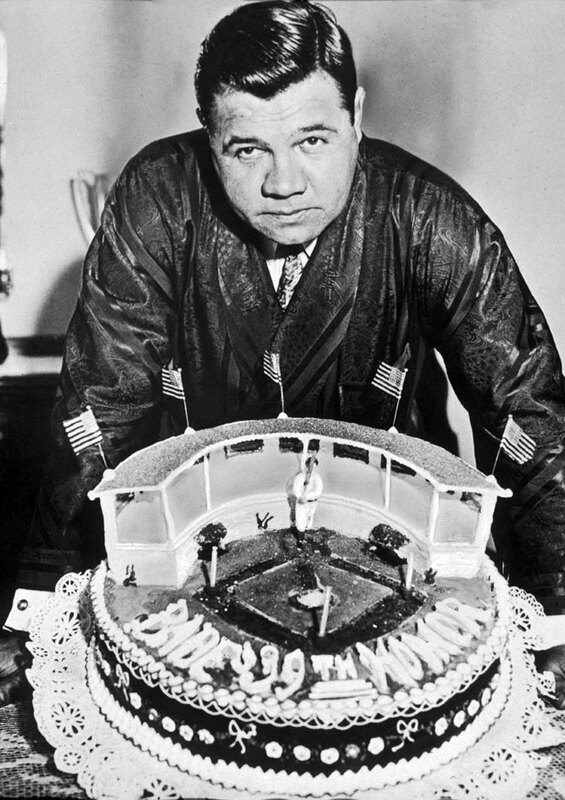 For his 39th birthday, The Babe received a cake shaped like Yankee Stadium — "The House That Ruth Built." 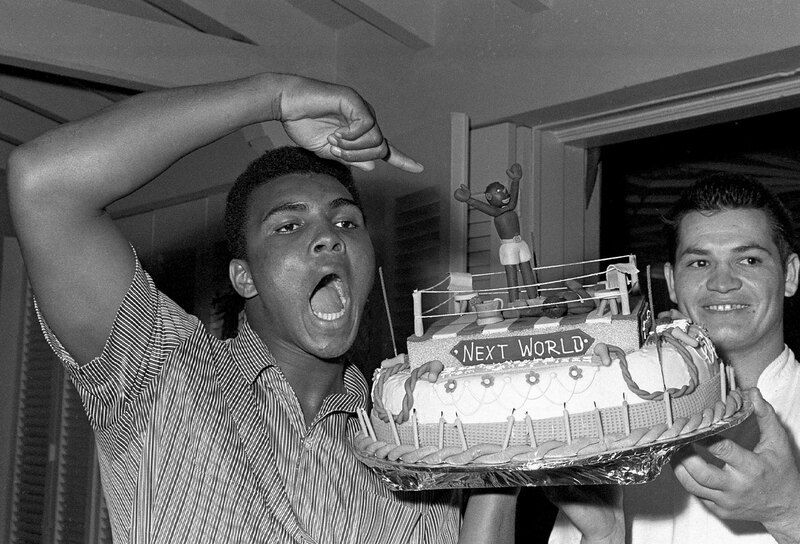 Muhammad Ali received this cake on his 22nd birthday, and one month later he won the World Heavyweight titles. 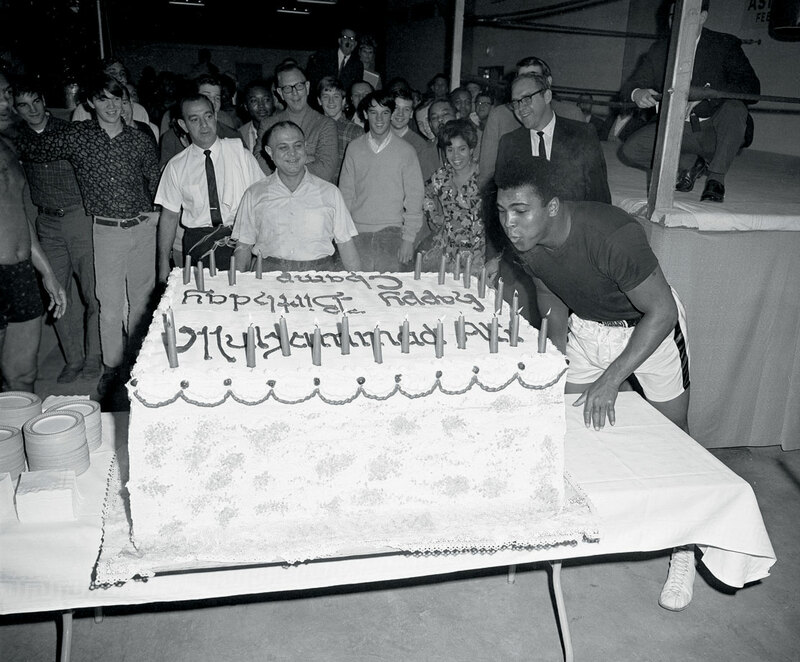 Muhammad Ali celebrated his 25th birthday in 1967 with a 578-pound cake. 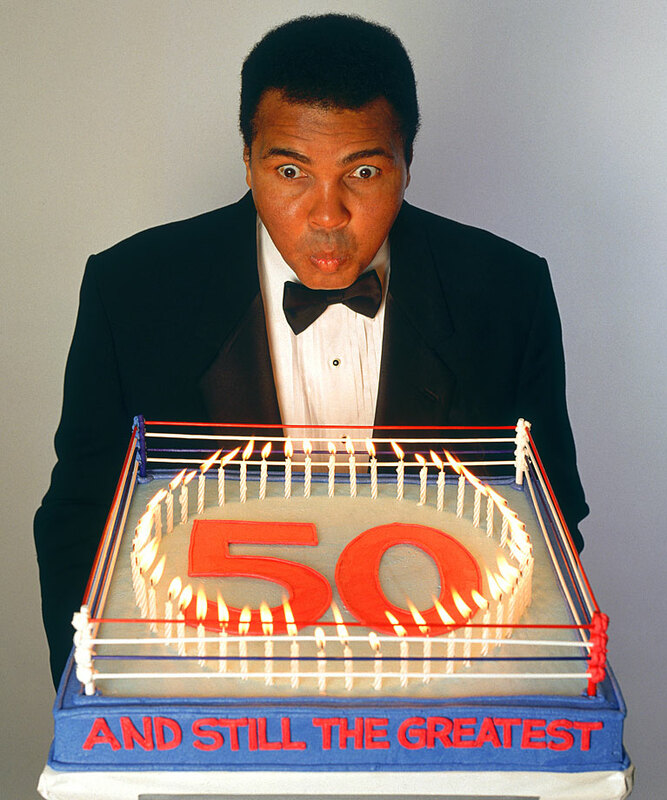 Muhammad Ali . . . . still the greatest. 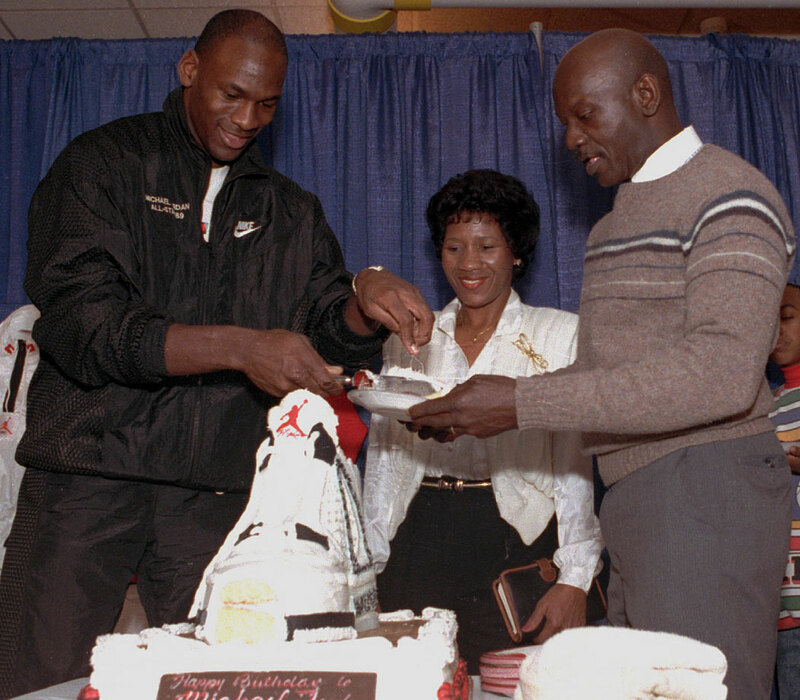 Michael Jordan and his father, James, and mother, Deloris, celebrated the NBA great's 26th birthday in Chicago. 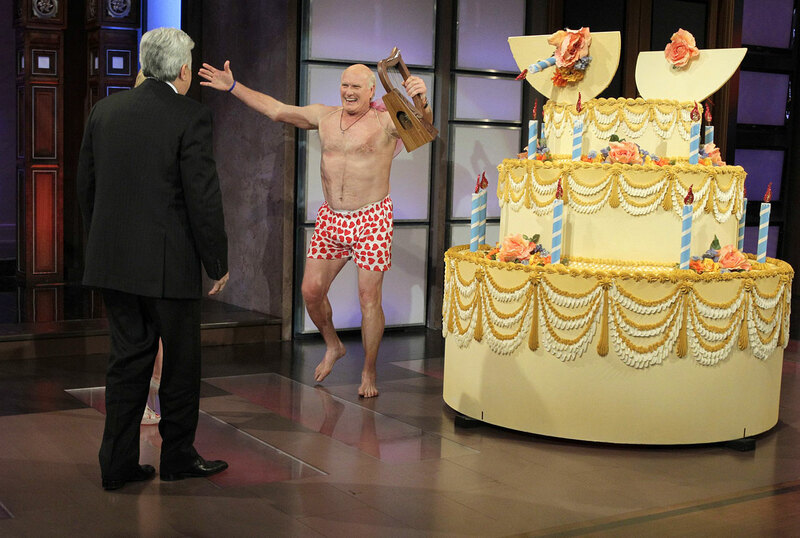 Chelsea Handler surprised Jay Leno on his birthday with a giant cake and a half-naked Terry Bradshaw inside on April 28, 2010. 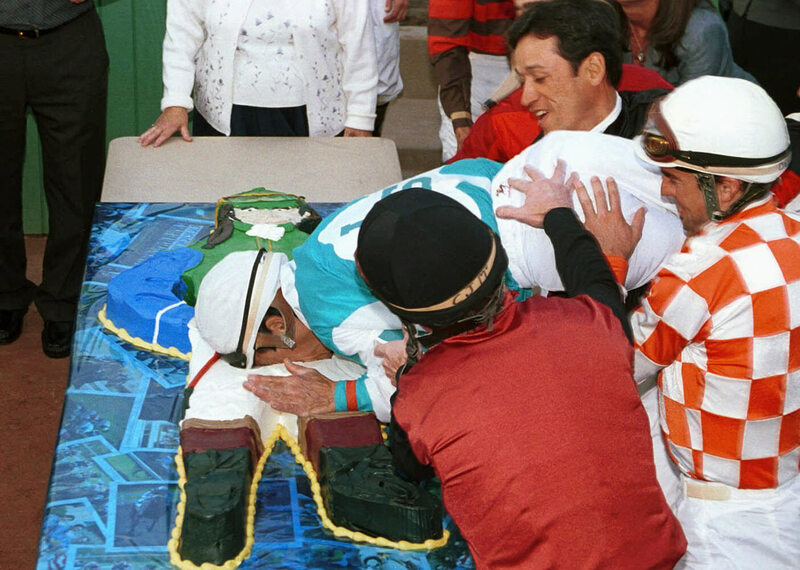 Jockey Laffit Pincay Jr. got a taste of his life-size cake for his 53rd birthday. That's awkward. 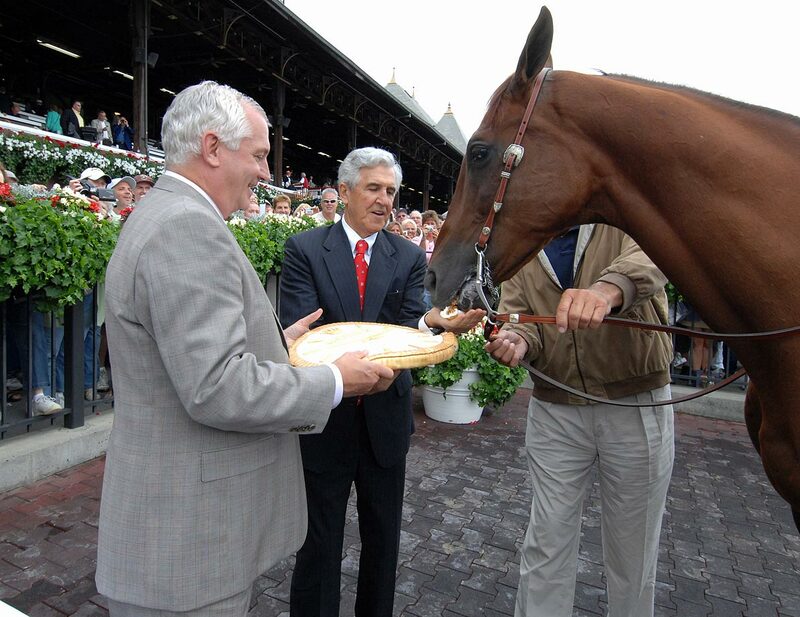 2003 Kentucky Derby and Preakness Stakes winner Funny Cide chowed down on a granola cake. What? Horses gotta eat too. 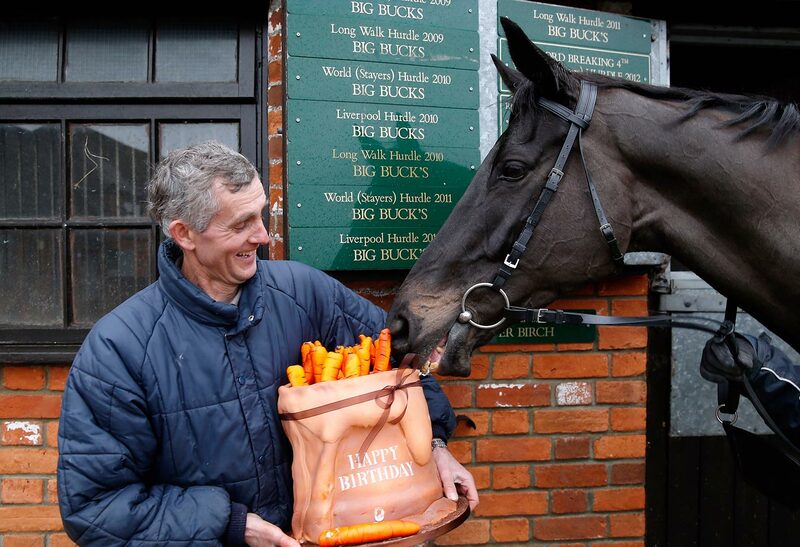 Superstar hurdler Big Buck's receives a birthday cake, which fittingly resembles a sack of carrots, from Great British Racing to celebrate his 11th birthday on Dec. 18, 2013. The Phillie Phanatic got this in 2009. 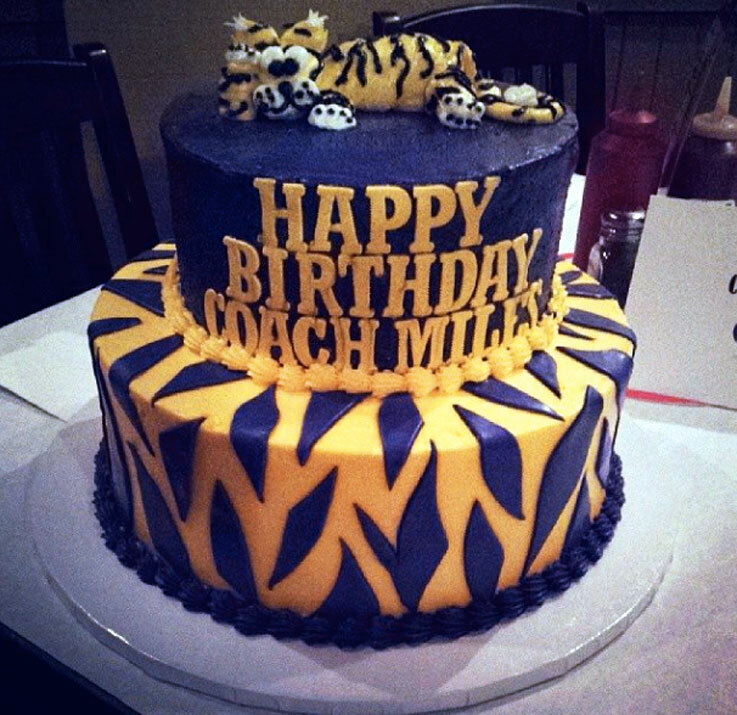 Les Miles' players celebrated his 60th birthday by giving him this purple and gold cake. 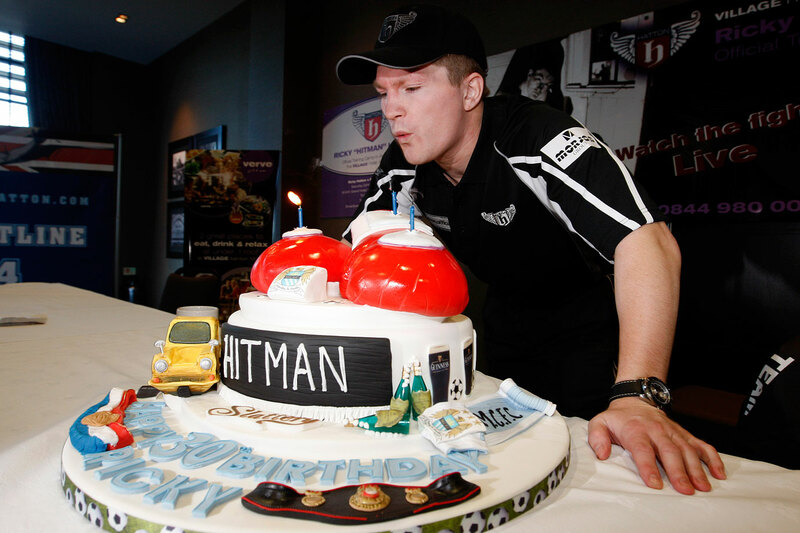 Former boxing champ Ricky Hatton celebrated his 30th birthday before a press conference for his 2008 IBF light welterweight fight against Paulie Malignaggi in Manchester, England. Hatton won the fight via 11th-round TKO. 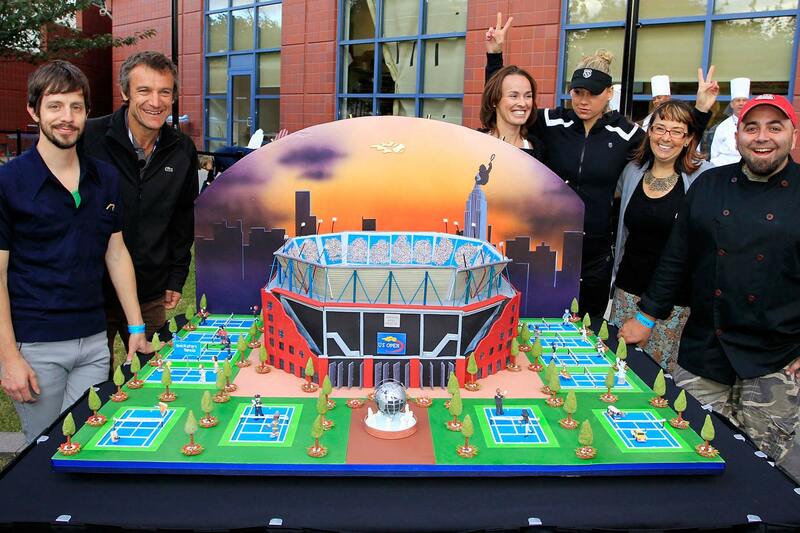 Anna Kournikova and Martina Hingis pose with the bakers who made a replica of the USTA Billie Jean National Tennis Center, on display outside the real center on Sept. 9, 2010. 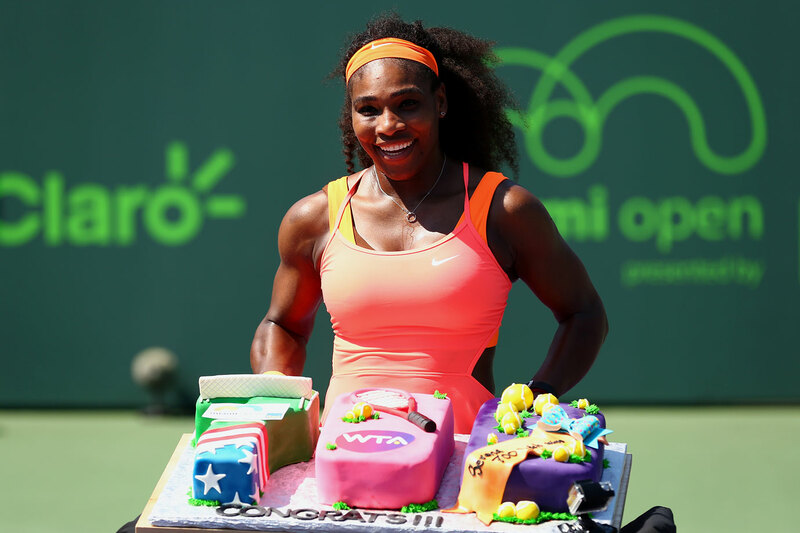 Serena Williams received a cake to celebrate her 700th WTA Tour win on April 1, 2015 in Key Biscayne, Fla.
Serbian tennis player Ana Ivanovic was feted for her 20th birthday after beating Svetlana Kuznetsova in the semifinal of the 2007 Sony Ericsson Championships. 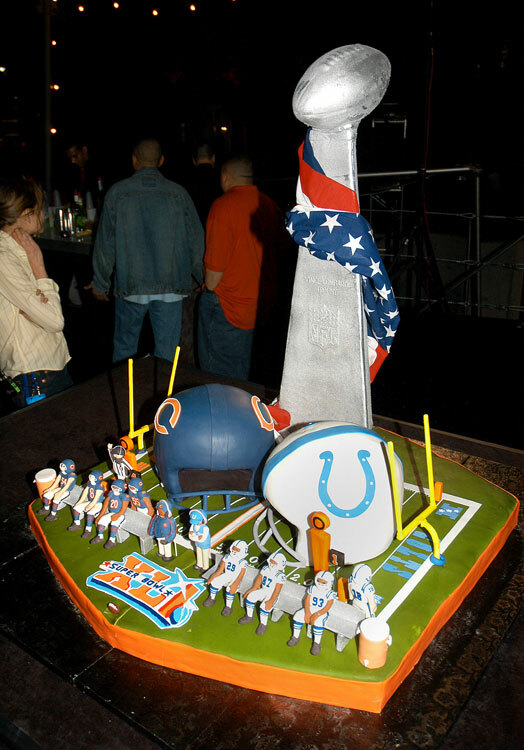 Famed chef Duff Goldman, of Food Network's Ace of Cakes , created the official NFL Super Bowl XLI cake. 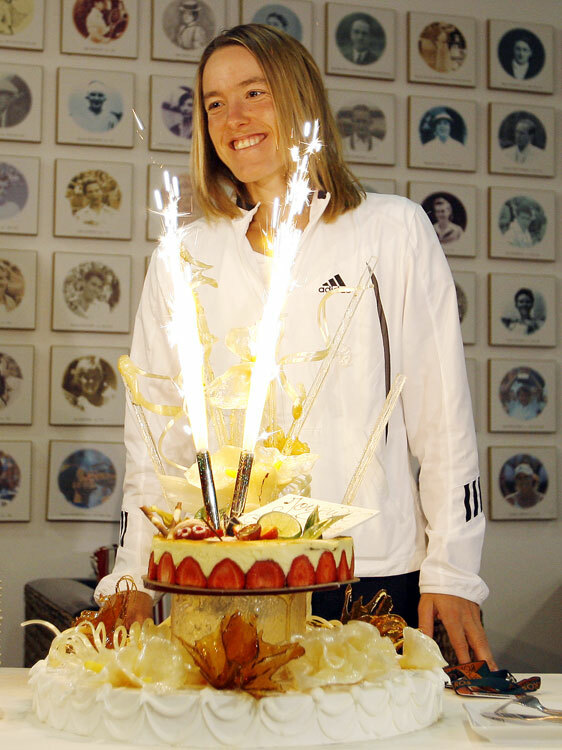 This is how tennis player Justine Henin celebrated her 25th birthday during the 2007 French Open. 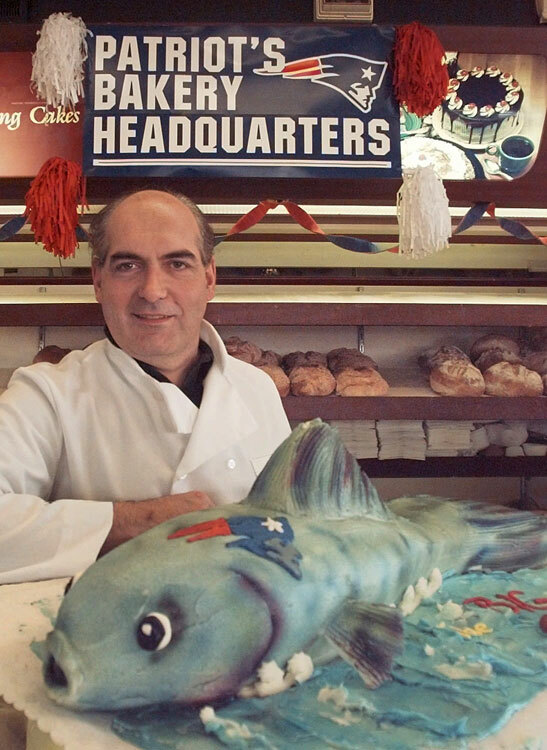 A New England baker made a big tuna for the Big Tuna, then Patriots coach Bill Parcells. The late NFL linebacker Sam Mills got a big head for his 38th birthday. 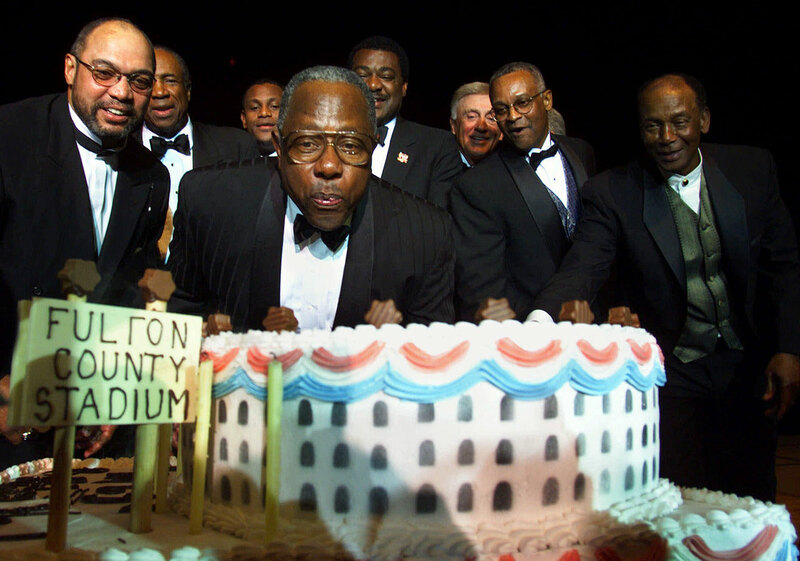 Former career home run leader Hank Aaron (center) is joined by baseball greats Reggie Jackson, Frank Robinson, Sammy Sosa, Don Baylor, Phil Niekro, Sonny Jackson and Ernie Banks as he blows out the candles on his 65th birthday cake. 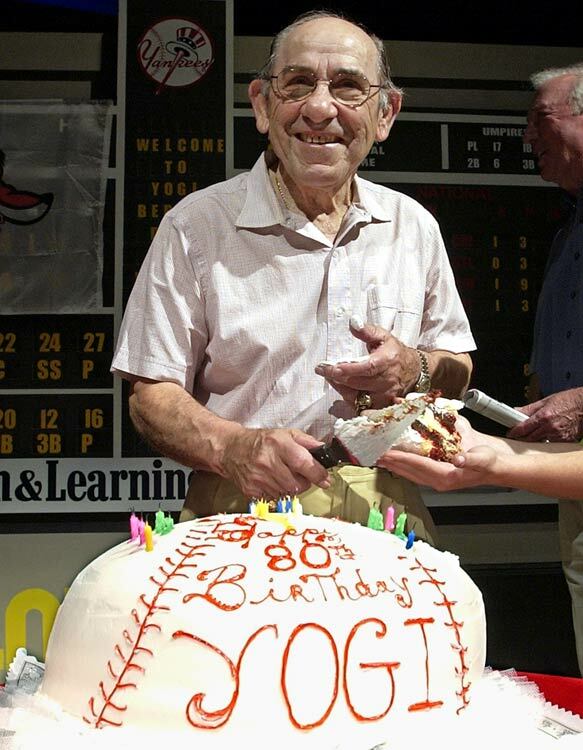 Hall of Fame Yankees catcher Yogi Berra, on the eve of his 80th birthday. 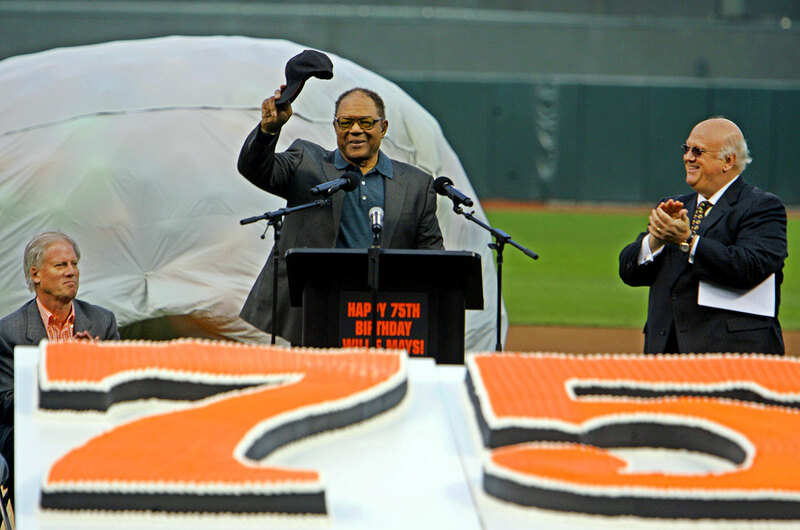 Former Giants acknowledges the crowd in front of his massive birthday cake. 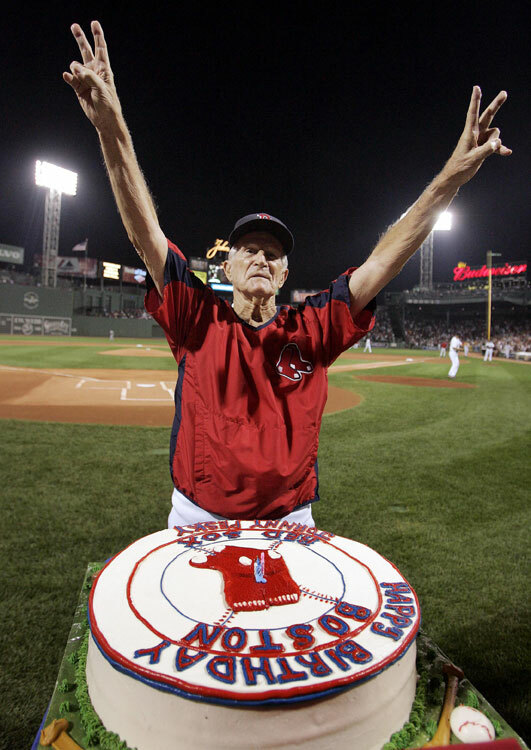 Boston Red Sox legend Johnny Pesky celebrated his 88th birthday in style at Fenway Park. Now THIS is a cake. Students at the Culinary Academy of India built an edible 15-foot-by-2-foot cricket bat and 60-inch ball for the national cricket team. 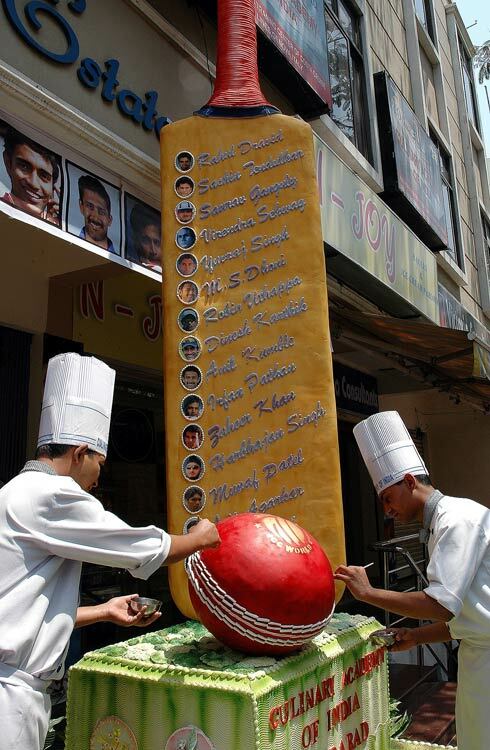 Three chefs, assisted by 30 student chefs used 200 kilograms of icing sugar, 300 egg whites, five kilograms of gelatin and 20 kilograms of corn flour and spent 120 hours of work on the cake, just to wish the Indian cricket team luck during the Cricket World Cup 2007. 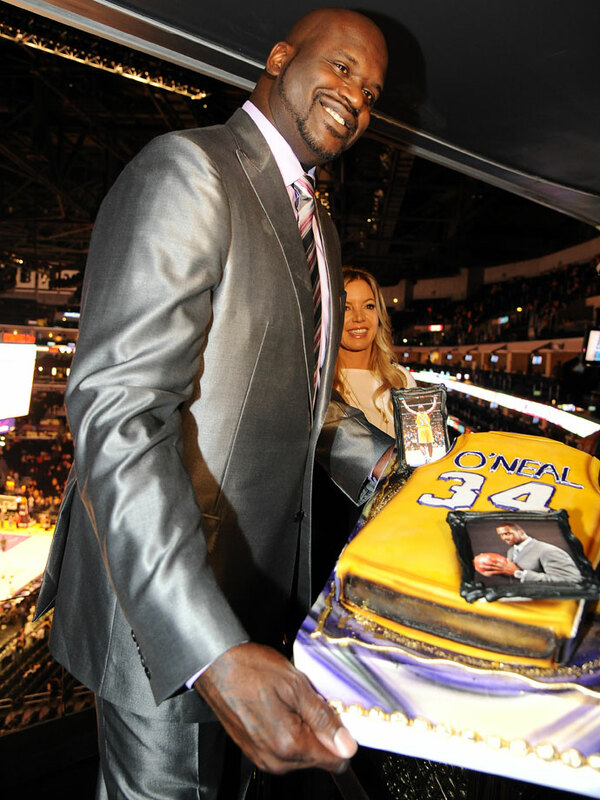 Shaquille O'Neal received a cake from the Lakers on the same night that they retired his jersey in April 2013. When you're a die-hard Lakers fan like Jack Nicholson, you get a big, golden cake and a pair of cheerleaders for your 70th birthday. 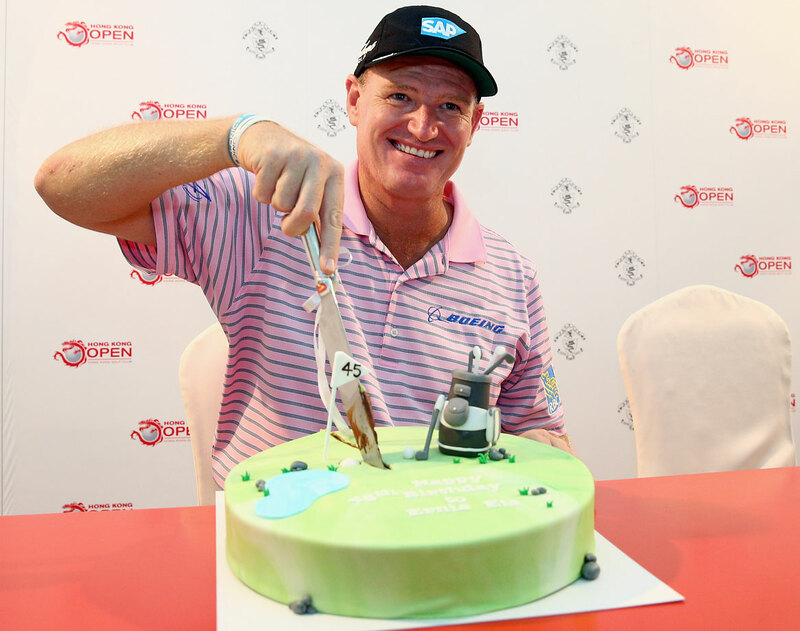 Ernie Els got an early birthday cake during a press conference for the 2014 Hong Kong Open. They're not directly related to sports, but these two Labrador Retrievers were so ridiculously adorable that we had to include them. 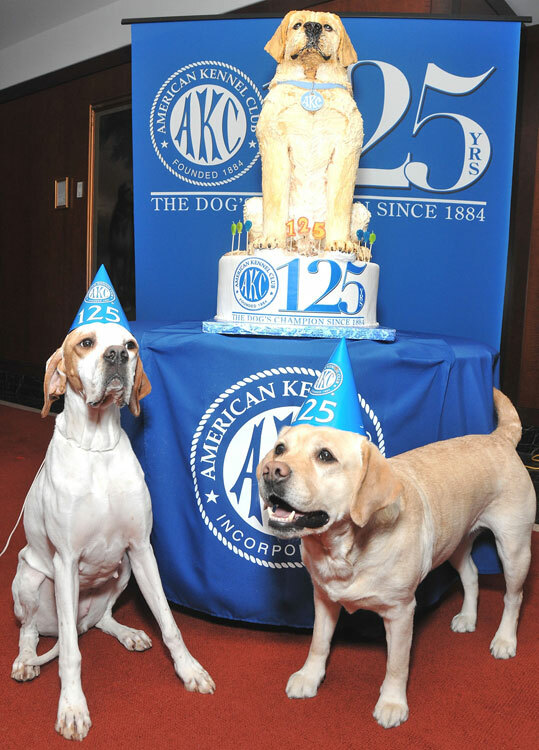 This furry pair celebrated the American Kennel Club's 125th anniversary. 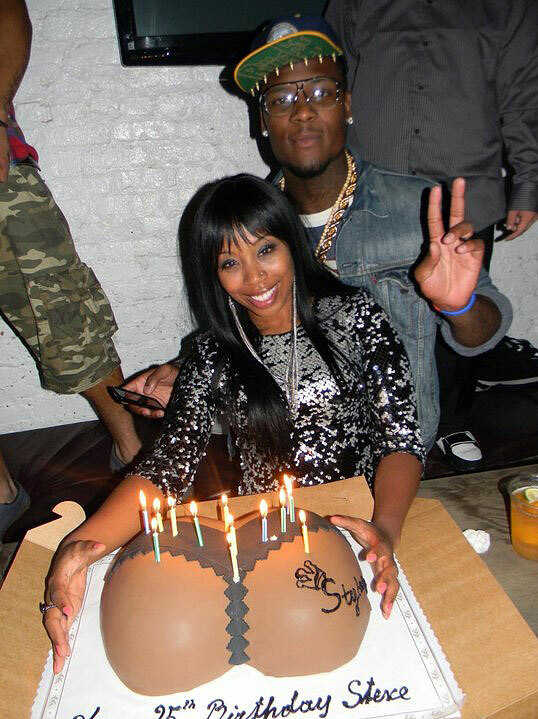 Buffalo Bills wide receiver Stevie Johnson celebrated his birthday with a replica of his girlfriend's rear. How nice.